Sgt. Maj. Michael B. Stack, 48, was assigned as company sergeant major to Company C, 2nd Battalion, 5th Special Forces Group (Airborne) at Fort Campbell, Ky. He was killed in Iraq on April 11, 2004 when his convoy was ambushed near Baghdad. Stack was a native of Lake City, S.C. and enlisted in the Army in 1977. 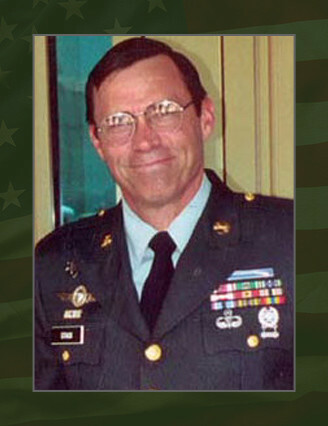 He served in a number of Special Forces assignments with the 3rd, 5th and 10th Special Forces Groups, as well as the 1st Special Warfare Training Group (Airborne) at Fort Bragg, N.C.
His awards and decorations include the Meritorious Service Medal, the Army Commendation Medal, the Army Achievement Medal, the Joint Meritorious Unit Award, the Good Conduct Medal, the National Defense Service Medal, the Southwest Asia Service Medal, the Global War on Terrorism Expeditionary Medal, the Global War on Terrorism Service Medal, the Humanitarian Service Medal, the Noncommissioned Officer Professional Development Ribbon, the Army Service Ribbon, the Expert Infantryman Badge, the Master Parachutist Badge and the Special Forces Tab. Stack is survived by his wife, Victoria Suzanne; his daughters, Jillian, Melissa and Virginia; and his sons, David, William and Bryan.